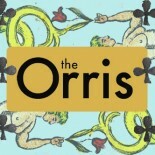 In Issue Four of The Orris, we are getting competitive. As we enter a season of physical, political, and financial contests strength will be tested, alliances tried, victories won and lost. We will watch as elite athletes square off at the Olympics; welcome the start of the football season; cheer on playoff teams in baseball. We will weigh the political debates of the upcoming American election, using our votes as a national scorecard. As jobs appear and recede, as bank accounts shrink and swell, we will consider the gains and losses of capitalist competition. Does the old adage still hold true, is it really survival of the fittest? Amidst this season of striving, The Orris asks you to think about what it means to compete in today’s world. 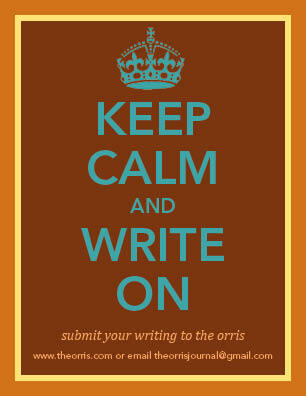 To submit a pitch or a finished work, or for general inquiries, contact theorrisjournal@gmail.com. Submission deadline: October 15, 2012. As always, we also have an open call for submissions for critical and creative work. This entry was posted on July 27, 2012 by The Orris in Call for Submissions, Issue Four and tagged Art, Call For Papers, Call for Submissions, Competition, Creative work, Cultural Journal, Essays, International Olympic Committee, Issue Four, Lana Cook, London, Management, Management Information Systems, Management Science, Olympic, Olympic Games, Olympics, Orris, Orris.com, Past, Reviews, Sports, Submissions, The Orris, the orris cultural journal, theorris, theorris.com, United States, Writing.